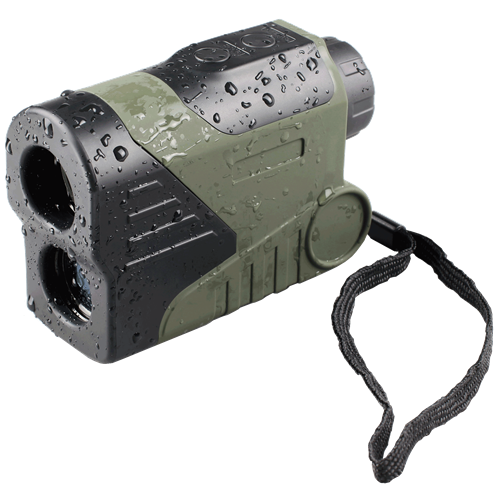 LUNA OPTICS' brand-new LD-LRF1000-OLED Waterproof Laser Rangefinder Monocular offers 1000m (1,090yds) measuring distance in a super compact and lightweight design. 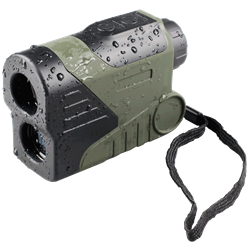 Featuring 6x image magnification with 24mm fully multicoated lens and orange-illuminated OLED display with multiple brightness levels, this monocular allows for comfortable viewing during any daylight conditions. Simple focusing eyecup mechanism allows comfortable viewing and unit features continuous reading mode while operating on one 3V Lithium battery (CR2 type commonly available in stores) offering long battery life.